Orchard Supply Hardware store #10, located at 720 West San Carlos Street, San Jose, with view of original sign, c. 1980 (Orchard Supply Hardware Collection, History San Jose). 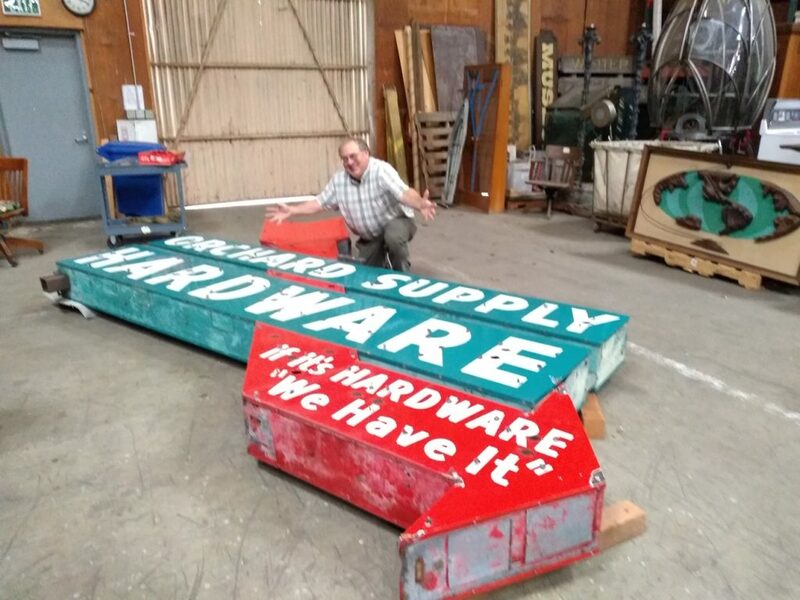 In August 2018, Orchard Supply Hardware’s parent company announced the closure of all OSH locations, including one of the earliest stores at 720 West San Carlos Street, San Jose, where the iconic neon sign was located. Founded in San Jose 1931 as an agricultural cooperative, OSH was part of the fabric of life in the San Francisco Bay Area. As operations were winding down, History San Jose was able to salvage a small collection of papers, photographs, and memorabilia thanks to the efforts of OSH staff. This collection now includes the OSH sign, stored at History San Jose’s warehouse as of January 17, 2019. Efforts are underway by the Preservation Action Council of San Jose to raise funds to restore and display the sign. As we catalog the donation, the items will be visible in History San Jose’s online catalog, in addition to materials already in HSJ’s collection. 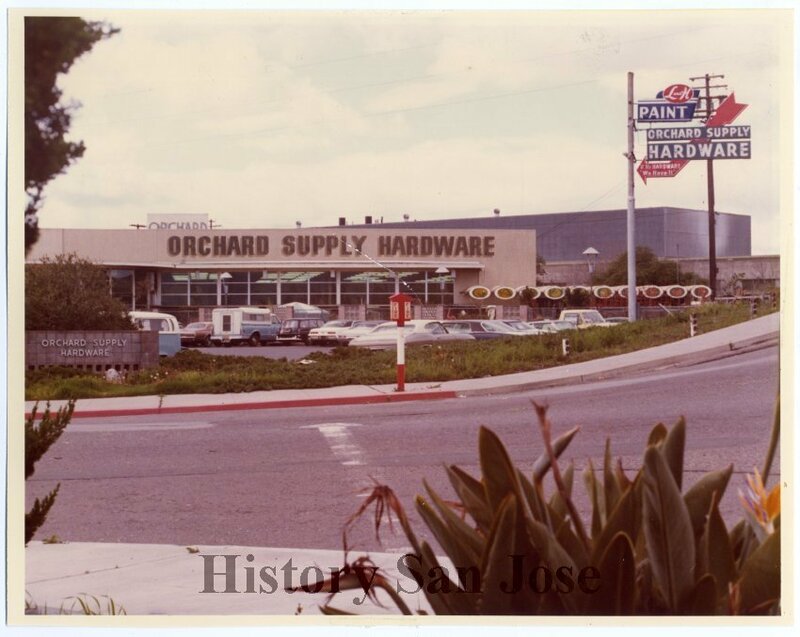 If you have any items from Orchard Supply Hardware that you think are of historical significance or interest, and you would like to donate them to the museum, or allow us to scan them for a “digital donation,” please feel free to get in touch with us at collections@historysanjose.org.